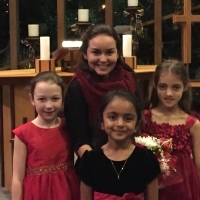 My piano studio held a student recital at Lord of Life Lutheran Church last month. These lovely ladies not only played beautifully, but looked beautiful as well! So proud of all my students!